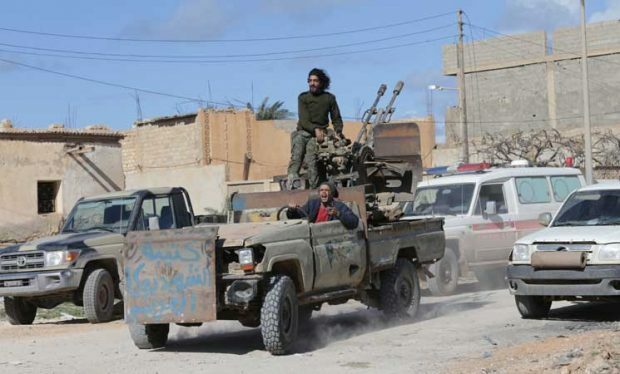 Libya’s House of Representatives-loyal media outlets reported Friday that four fighters had been killed and at least three were wounded in an attack Khalifa Haftar’s self-styled army launched on the desert camp of a rival militia in the country’s southwest. Friday’s assault in the town of Ghadduwah was part of the self-styled army’s campaign in the country’s south, which began on January 15. The spokesman for the Interim Government in eastern Libya, Malek el-Sherief, said the camp was loyal to Ibrahim Jadhran, a commander who took part in the 2011 uprising that toppled and killed Moammar Gaddafi.